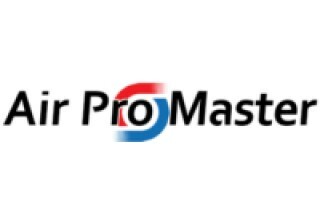 LAS VEGAS, February 5, 2019	(Newswire.com) - Air Pro Master, AC Repair in Las Vegas has documented a noticeable uptick in service calls that have come with the unusually cold weather. While not cold enough to cause health problems or equipment failures, average temperatures in the low 40s have caused an influx of service calls to one of the area's leading service companies. During the days, the temperatures will reach a high, on average, of 64 degrees. This is an increase over January, where the temperatures reached a high of 60 degrees and a low of 39. Precipitation is not a common concern in the Vegas area, as only two days of rain (on average) occur during February. Air Pro Master offers heating repair in Las Vegas and services that include installation as well as maintenance. They work with a variety of home heating systems. 24/7 services are available in case of emergencies. Special financing options are available to make the service more affordable for clients. “People sometimes think of Vegas as just being hot all the time, but that’s not the case at night during the winter months. When the nightly temperatures routinely sit in the low 40s, the last thing anyone wants to do is sit through a night without a heating system. We can show up and install a heater or furnace, repair them and just do what it takes to make sure you’re warm and cozy at night,” said a representative named Ed Barrera, sales manager at Air Pro Master. Air Pro Master also offers emergency AC repair and plumbing services as well.